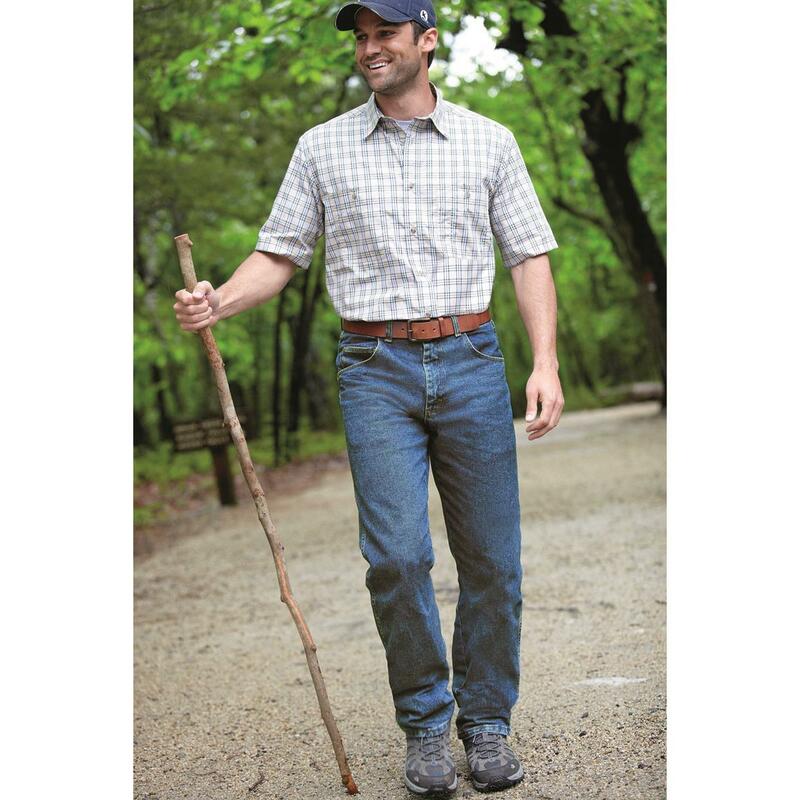 The Wrangler Rugged Wear® collection can handle your everyday lifestyle even if that includes getting rough outside. Heavyweight denim is up for the challenge, while the U-Fit crotch gives you room where you need it most. And the leg openings still fit over your hiking boots. 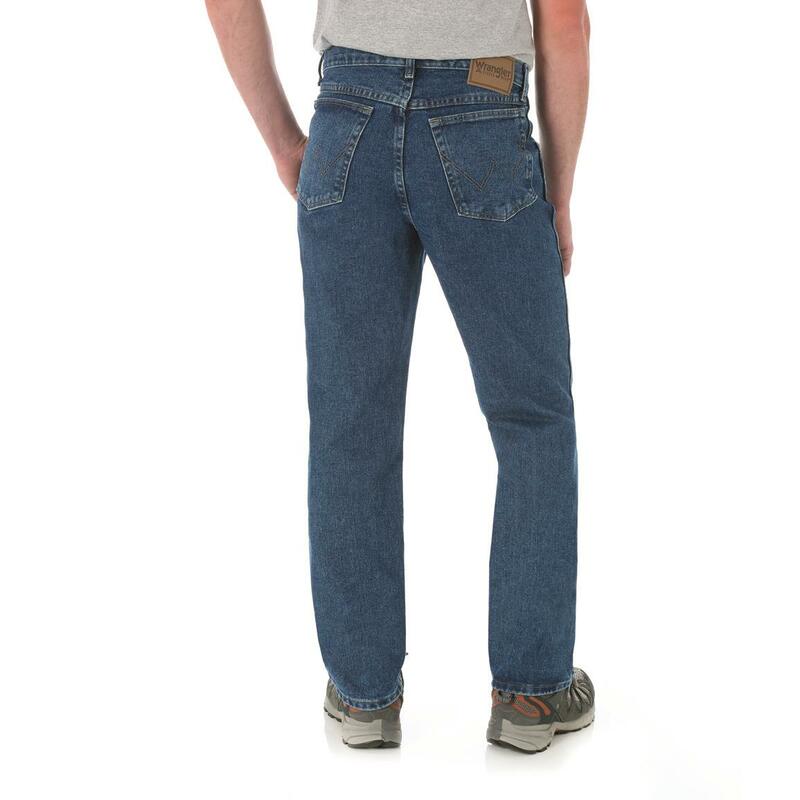 Get these relaxed fit Wrangler® Jeans sent right to your door! Wrangler Rugged Wear Mens Relaxed Fit Jeans is rated 4.3 out of 5 by 365. Rated 5 out of 5 by KATRINA from nICE AND HEAVY WEIGHT JEANS FOR WORKING IN. 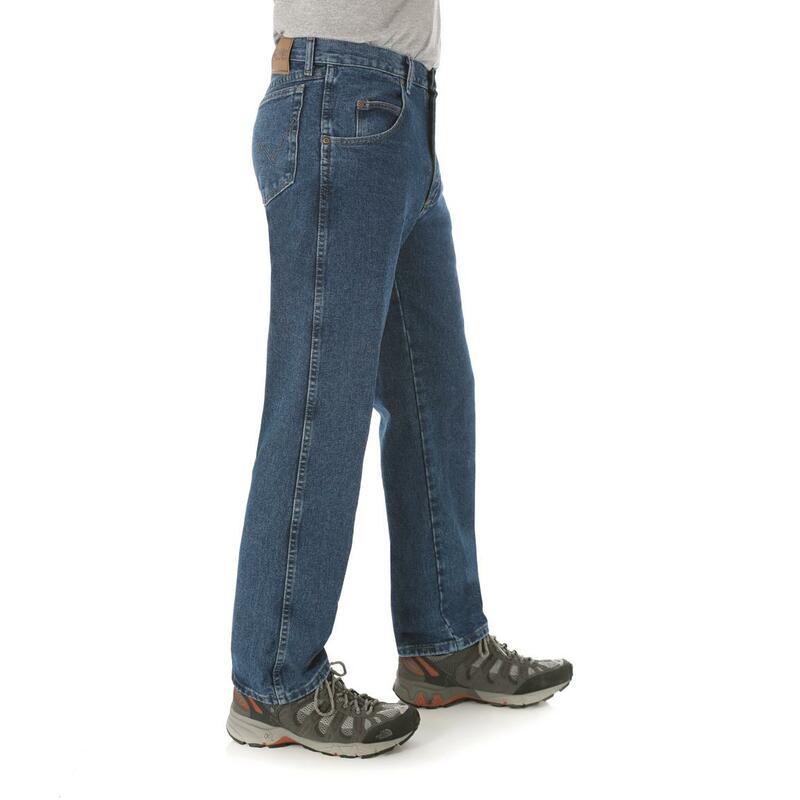 I ALWAYS KEEP MY SON AND GRANDSON IN JEANS FROM SPORTSMANSGUIDE. ESPECIALLY IN WINTER THE FLANNEL LINED ONES THEY LOVE, NICE AND WARM. GREAT PRICES AND WASH UP VERY GOOD.. Rated 5 out of 5 by none from Yes I would buy again Products were great.....yes I will buy again. Rated 5 out of 5 by Pete from As Advertised, at a good price. Fit was good. They even had my 29" inseam. Definitely recommend. Rated 5 out of 5 by ED1944 from right waist and inseam Our grandson has a hard time finding the right waist and inseam and was very pleased when we found the correct size for him. 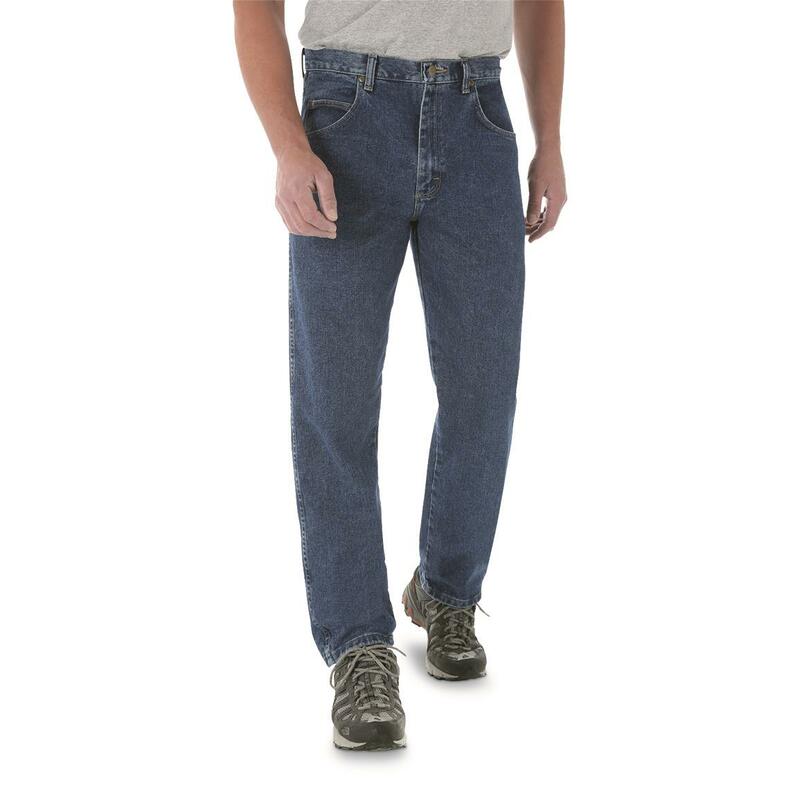 He is ery pleased with the Wrangler Relaxed fit jeans.